Check out my latest creation, the iPhone Lego Robot Demo. 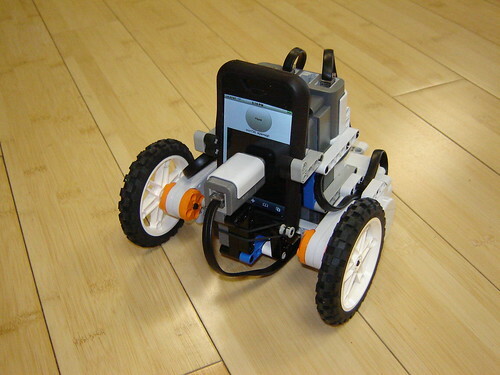 This simple demo shows how to have iPhone’s Safari browser communicate with Lego Mindstorms via the NXT Light Sensor. You are currently browsing the BattleBricks Blog blog archives for June, 2008.